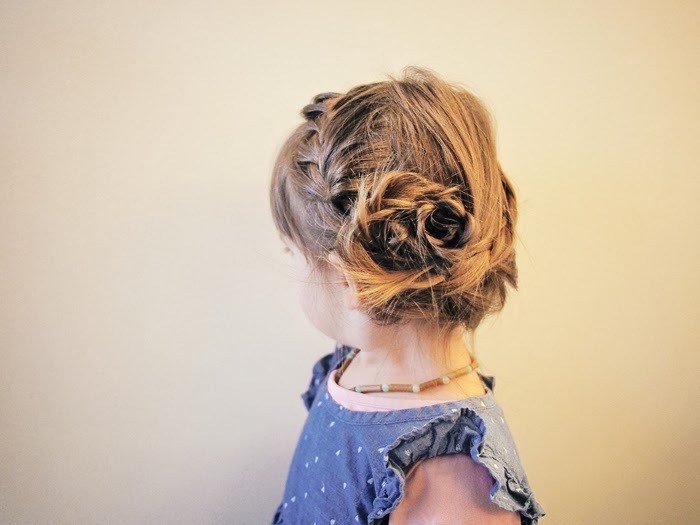 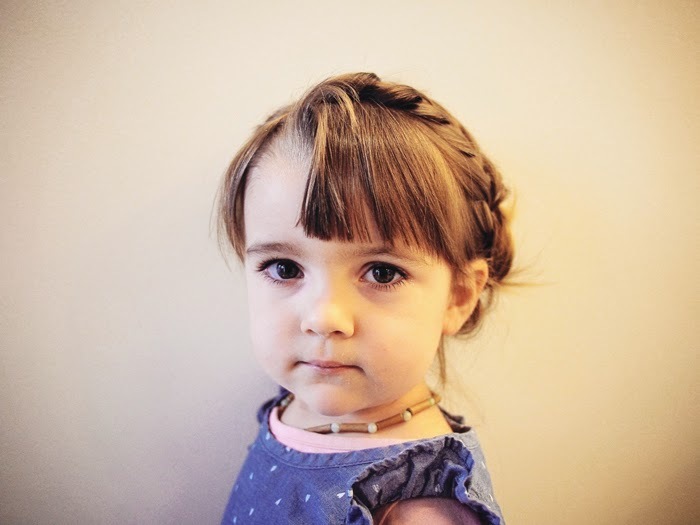 The Wiegands: little style: "mini" hair tutorial. 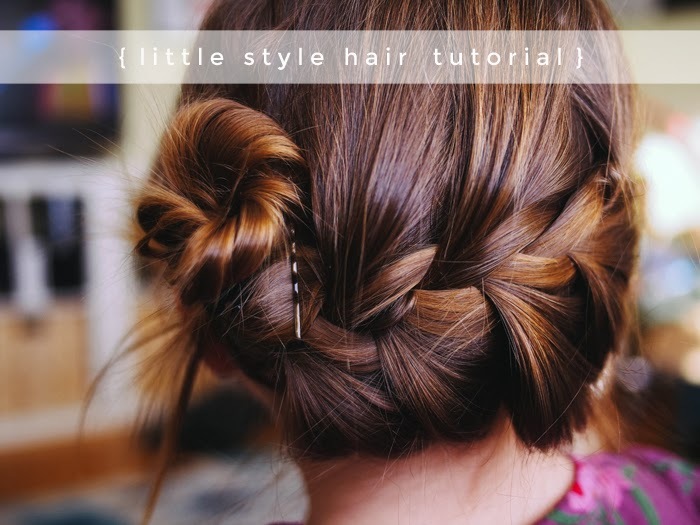 little style: "mini" hair tutorial. 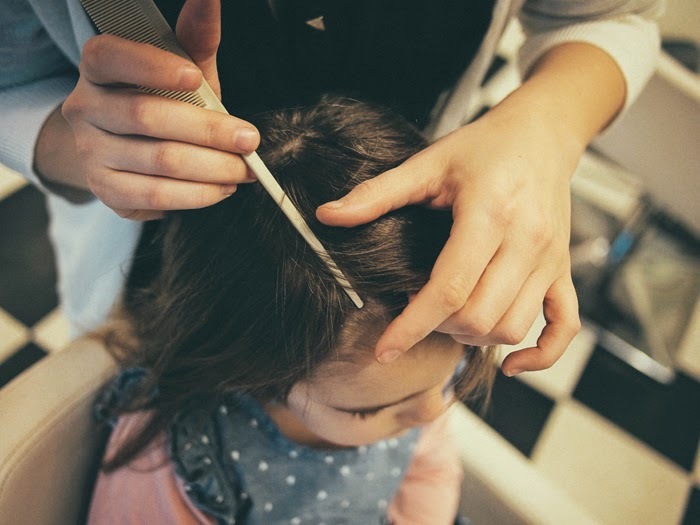 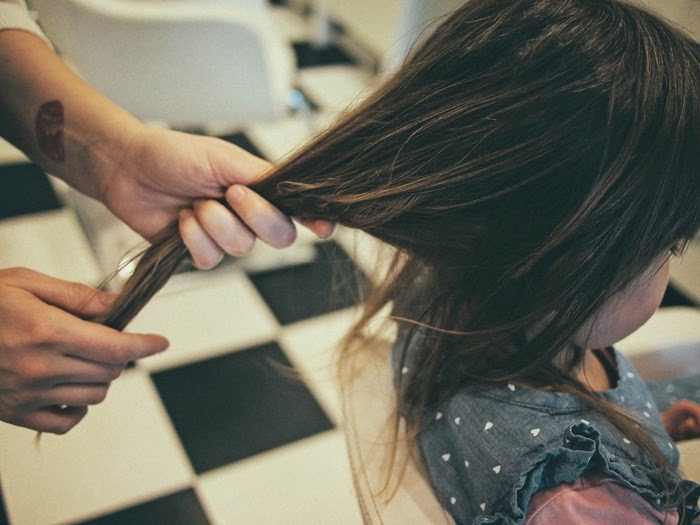 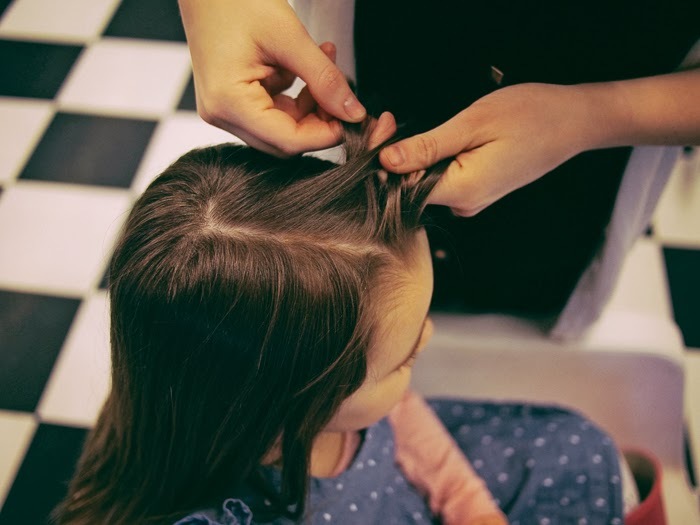 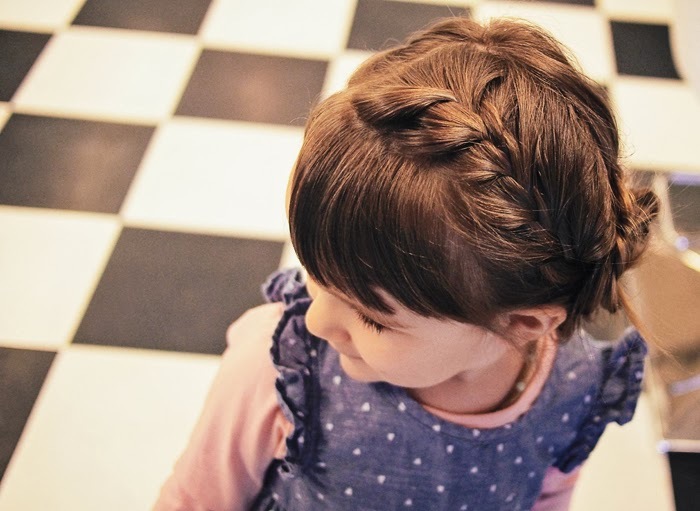 Since baby/toddler hair is so soft and fine, you may need to start by running a bit of pomade or hair cream through the hair so it has a bit more grip. 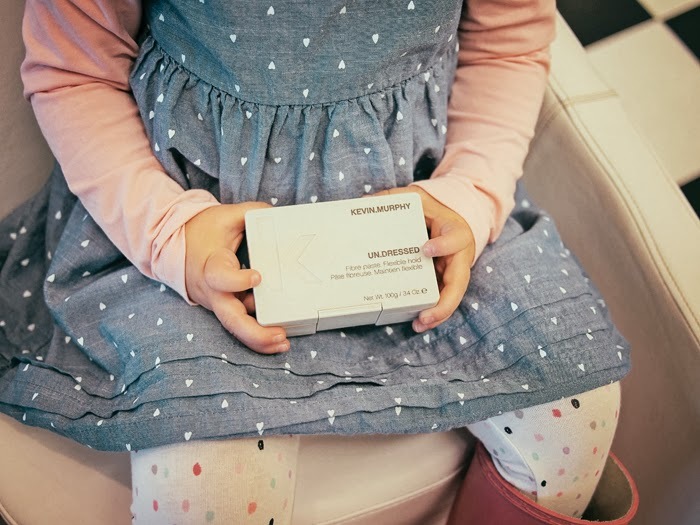 We used Kevin Murphy Undressed because it's free of harsh chemicals, parabens, sulfates, etc. 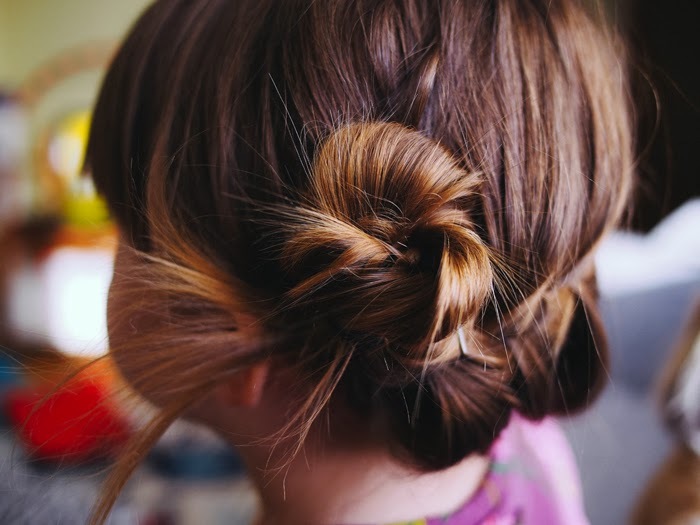 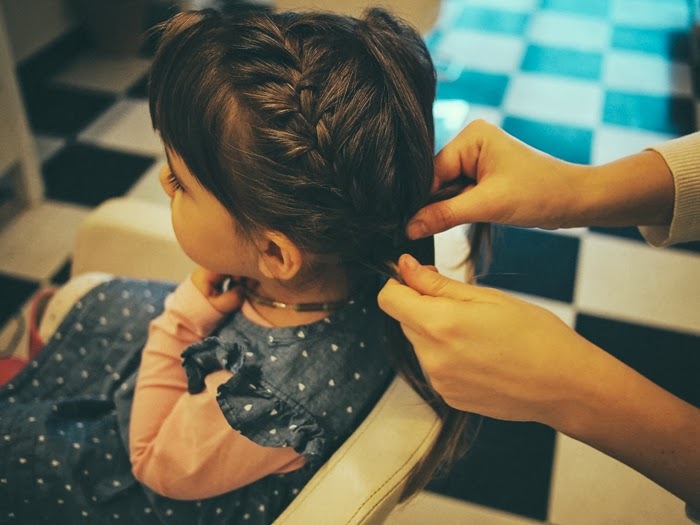 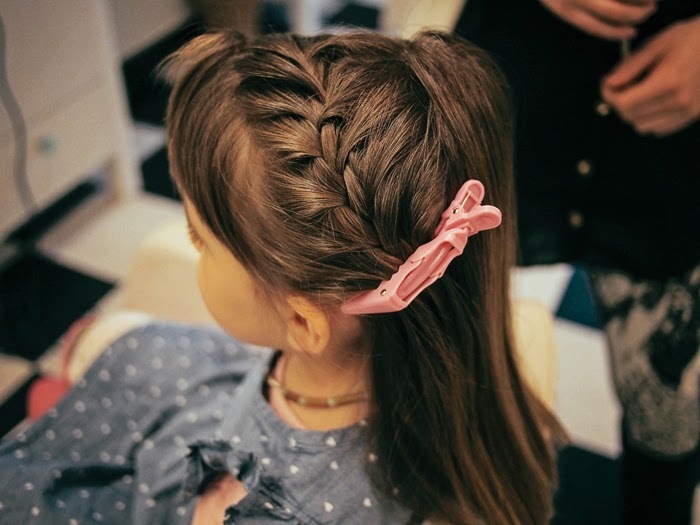 Part hair on one side and start French braiding the side of the head with the most hair until just past the ear, continue to braid this regular so you have a little braid pigtail, then use a clear elastic to secure that braid. 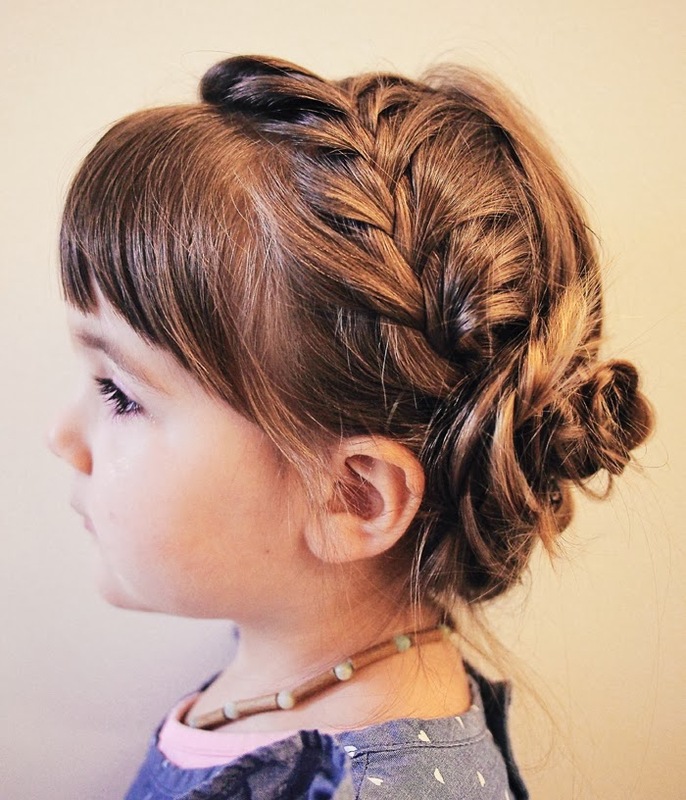 French braid the other side working around the back of the head to where the original braid left off and braid another little pigtail. 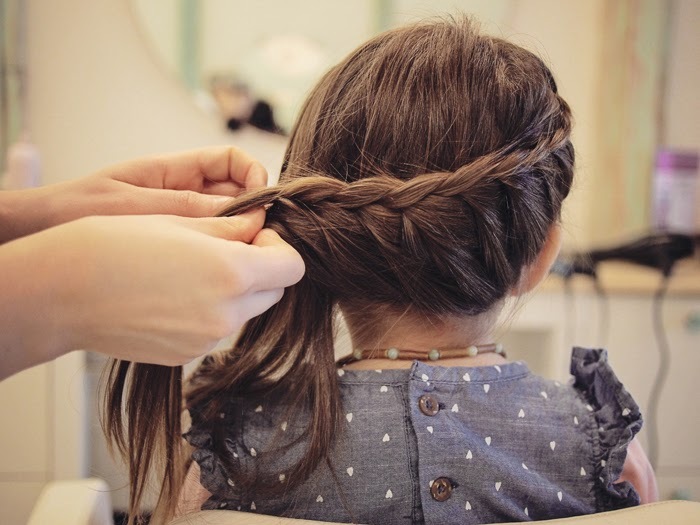 You should be left with two braids. 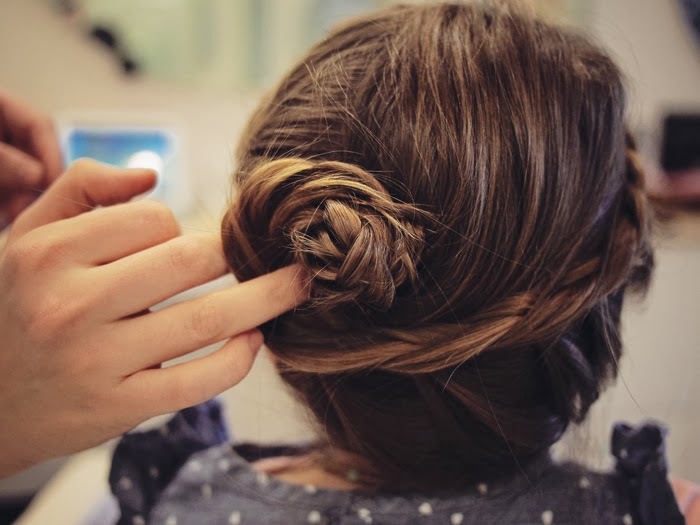 Curl the braids into a spiral (or cinnamon roll if you will;) and use as many bobby pins as necessary to secure. 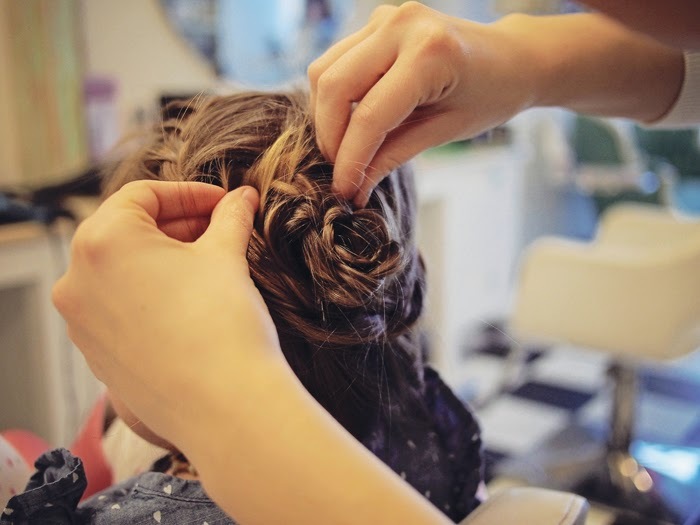 You may want to finish off with a shot of hair spray if you really want to ensure hold!